Happy Goth Day ! 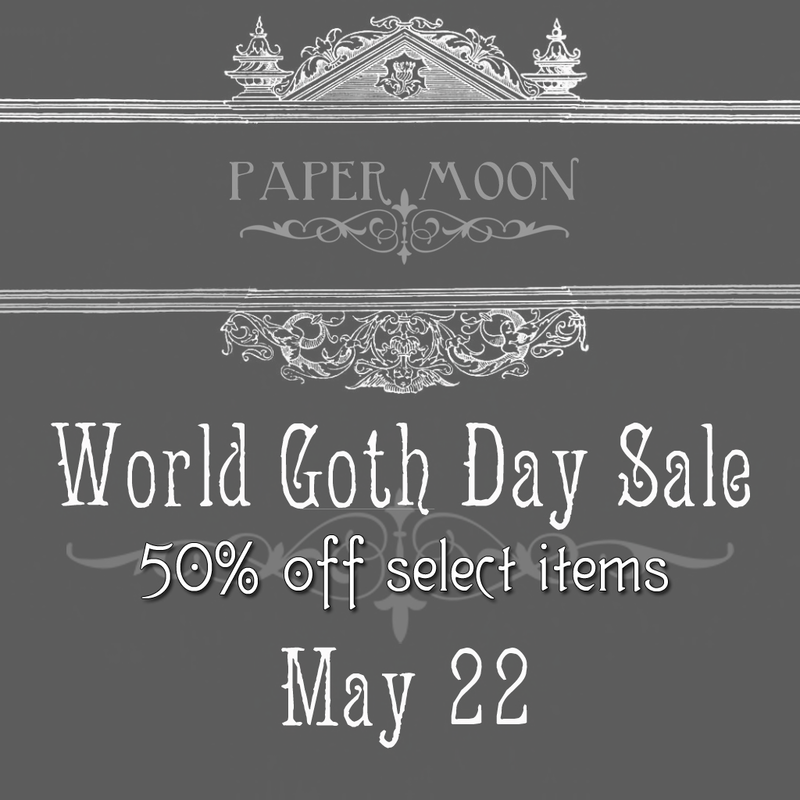 To celebrate the owner of PaperMoon has picked a select number of items in her store to mark 50% off for the next 24 hours. All items marked 50% off will have a sign on them. So come on down! you only have till noon SLT tomorrow to nab these items this cheap!